The International Press Institute (IPI) today expressed concern over the suspension of Népszabadság, Hungary’s biggest opposition daily, on Saturday. The closure came shortly after the newspaper’s owner, Mediaworks, said it was seeking to reorganise its portfolio of publications in Hungary. In a statement, Mediaworks said that it was suspending the paper’s print and online editions because of significant losses and until “the formulation and realisation of a new concept”. The company did not say when the newspaper would reappear. Mediaworks, owned by Austrian private equity firm Vienna Capital Partners, said in the statement that Népszabadság lost more than 5 billion forint (€15.46 million) since 2007 and that its circulation had dropped by 74 percent in the last 10 years. All operations of the newspaper will be suspended until a new business model “that better matches current trends in the industry” is found, Mediaworks said on the paper’s website, nol.hu. 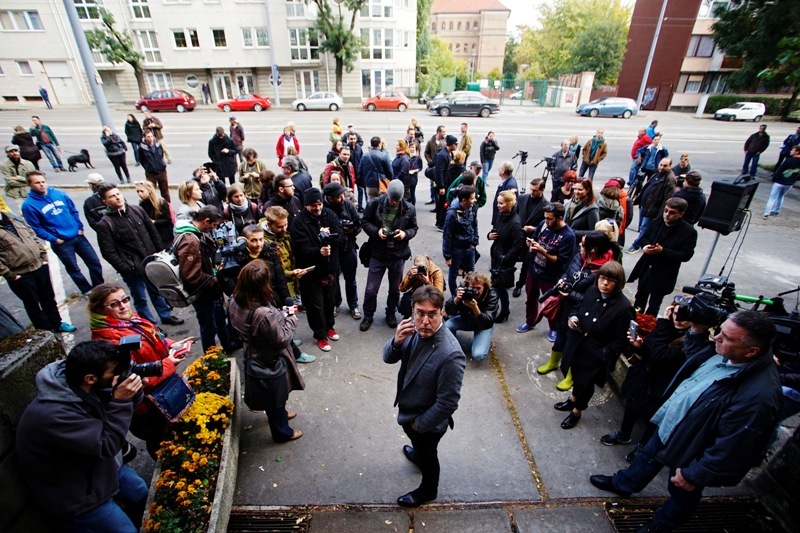 The paper’s chief editor, András Murányi, said today that the newspaper would be sold. Talks between Mediaworks and senior editors had failed to reach agreement on publishing a Monday edition or on restarting its online version, Murányi said, and the parties had agreed only to work on the terms of the paper’s sale and on finding a new owner. IPI Director of Advocacy and Communications Steven M. Ellis questioned the timing of the suspension, which came just days after Népszabadság broke several stories involving alleged government corruption. “IPI is worried that Népszabadság is being silenced because of its critical and investigative reporting, and that the decision to sell the newspaper is part of a pattern by which business interests closely aligned with Prime Minister Orbán’s Fidesz party have acquired publications in an effort to broaden the government’s control of the Hungarian media,” he said. Népszabadság employees, who received letters informing them of the decision on Saturday, said the closure came as a total surprise. 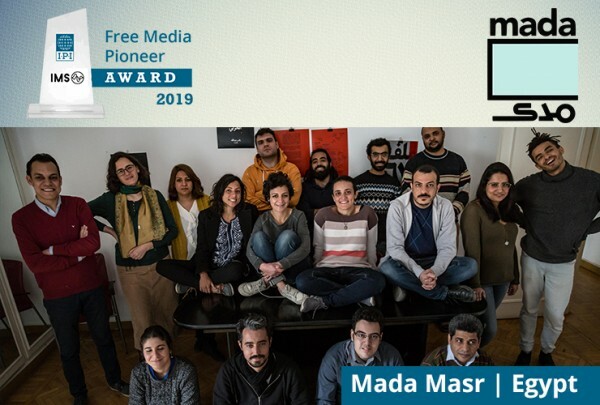 The journalists, who were preparing to move to a new office on Sunday, were cut off from their email accounts and the newspaper’s servers, and prevented from entering their workplace. The independent, left-leaning Népszabadság has frequently been critical of Prime Minister Viktor Orbán’s right-wing government, opposing last weekend’s referendum on refugees and breaking several stories in the past few days on alleged government corruption. The paper’s weekend edition had follow-up stories on the extravagant lifestyle of Orbán’s chief of staff, including his use of a helicopter last weekend to fly to the wedding of a television celebrity, and on a scandal involving the governor of the National Bank of Hungary. Opposition parties and civil rights groups condemned the abrupt closure of Népszabadság and accused Orbán of trying to tighten his grip on the media. On Saturday afternoon, some 2,000 people attended a rally outside parliament in support of press freedom and protesting the closure of Népszabadság. Some demonstrators lit a bonfire using copies of the pro-government daily Magyar Idök. Orbán’s ruling Fidesz party in a statement called the move “a reasonable business decision rather than a political one.” Szilárd Németh, vice president of Fidesz, said that “it was long overdue for Népszabadság to be closed without notice”. There has been speculation in the Hungarian media in the past few months that business interests close to Fidesz were seeking to buy Mediawork’s publication holdings in Hungary – which include the Vilaggazdasag business daily and the Nemzeti sports daily, as well as local and regional papers – and that Népszabadság might be sold to one of Orbán’s allies. In the last few years, many print and online publications as well as radio and television stations – including the country’s second-largest broadcaster, the commercial TV2 network – have come under the control of Orbán’s allies and have been turned into government mouthpieces. State advertising has become an increasingly vital source of revenue for media and is generally allotted to pro-government publications.